EFT Training Course reviews below are from the EFT level 1-3 training courses held in Manchester England during 2007/8. 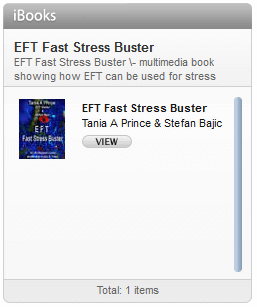 These EFT training course reviews are unedited. 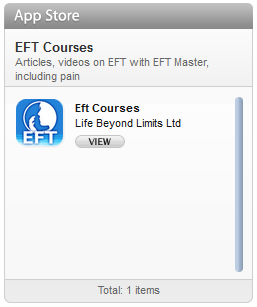 Further EFT course reviews can be found by using the links on the right hand side of the page. Fantastic weekend, very deep work, many new techniques learned. Using peripheral vision to enter a client’s reality will stay with me forever! Thank you so much. I attended the level 3 with Tania and was amazed at how much knowledge and wisdom Tania had, and also the ability she had to accelerate my/ our learning. The course is so filled with energy, laughter and is refreshingly thought provoking. I’m now extremely excited by the prospect of using EFT with my client’s and myself. Thank you. I thoroughly enjoyed the level 3 and learnt an amazing amount of new information. This practical, hands on course will help me become a more “polished” EFT practitioner. Thank you. We had a great weekend with a very friendly group and we felt very safe with you, as you are such an experienced trainer- It was a pleasure to be here. Fantastic! 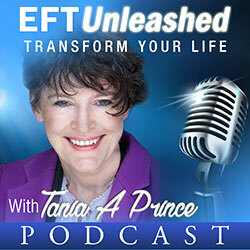 Tania’s knowledge and enthusiasium for EFT is endless. I’ve learnt a great deal about myself and underlying issues that stop me being who I want to be. I now have a tool that I can use to address these issues, easily and with comfort. I look forward to addressing these issues and in time using the tool to help others. Another fabulous course by Tania! I came on the course with no expectations and collapsed down a lot of my issues! Halleluyah. Even though I have watched Gary’s videos and read around the subject, Tania offers a greater insight in to all the methods that can be used, with some great hands on experience. Tania, you’re a dedicated teacher. This level 2 course felt like a “Masterclass” in so much as the breadth and depth of EFT development was concerned. You created such a safe environment that participants were able to explore so many issues for themselves and each other. You approach of modelling the skills so EFT gives us a level of professionalism and skills to aim for. Your intuitive approach is positively inspirational. Brilliant course! I found that it completely enhanced Gary’s videos and that I got a much deeper understanding of EFT even though I watch the videos at every opportunity! I think workshops are a “must” to get a complete understanding of this method and I am very happy that I am here. I look forward to EFT Level 2. EFT Training Course information: If you would like to find out more about attending EFT Courses, please follow the links at the side of the page.